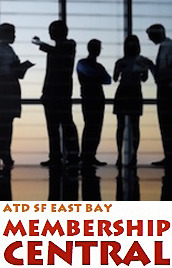 To pay ATD SF East Bay chapter dues (only), please use this site. Still have questions? Please contact Becky Callahan, our VP of Membership.